PRICED FOR A QUICK SALE! Nessebar Fort Club is located in the famous resort of Sunny Beach, on the Bulgarian Black Sea coast. Close to Aqua Paradise water park, and about 10 minutes walk from the excellent beaches and fantastic nightlife. Nessebar Fort Club is located about 30 minutes from Bourgas and Varna Airport. The apartment buildings are built of steepl-concrete construction and roof of "Bardolin". This is an advertisement maintained by For Sale By Owner Reference:Private sale.The advertiser is wholly responsible for the accuracy of the ad information published on Globespanproperty.com and we make no representation as to the accuracy or currency of the information contained within this website. The photos and details content is the sole responsibility of the owner or agent of the property displayed. Nessebar Bulgaria Real Estate Agents. A dedicated website for Sunny Beach Property Bulgaria. Nessebar Real Estate Agents Directory. FSBO For Sale By Owners Direct. Private Owners Selling Privately. Home Sellers. For sale by owner listings specialising in private house sales overseas. 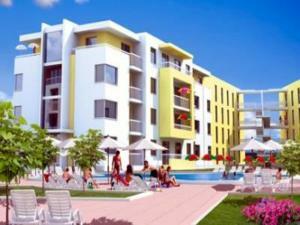 Nessebar Fort Club Properties Sunny Beach Apartment.